It is time to clear out some product inventory this year. To that end, I am offering a 50% off sale for one week only. This sale is on all physical products as well as e-books. 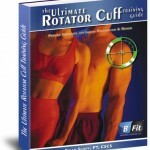 I am also offering this discount on my printed version of the Ultimate Rotator Cuff Training Guide, of which I only have five remaining copies. Simply enter code BFIT50 at checkout to save 50% on your entire order. Click Here to view all products. This sale will end Monday July 18, so act now while supplies last. Do Stride Length & Foot Strike Affect Running Injuries? I work with lots of runners, both recreational and competitive, who are seeking to improve performance or overcome injuries. The most common issues I see are iliotibial band syndrome (ITBS) and patellofemoral knee pain (PFP). With every runner, I routinely perform FMS and video analysis to get a better understanding of their movement patterns, gait mechanics and asymmetries. Without question, they tend to ask me if there is a better way to run. Obviously, every accomplished runner has his/her own opinion on the matter. Some prefer forefoot or midfoot strike, while other do just fine with a heel strike pattern. In essence, we do not have any sound research or biomechanical evidence to declare one a winner. Since I work with many injured runners, I am always seeking to find the most efficient ways to reduce injury risk and eliminate pain. A paper just published in the September 2015 American Journal of Sports Medicine by Boyer and Derrick sought to answer the question of how shortening the stride length or altering foot strike pattern may impact certain variables. Specifically, the authors sought to compare step width, free moment, ITB strain and strain rate, and select lower extremity frontal and transverse plane kinematics when stride length was shortened 5% and 10% in habitual rearfoot and habitual mid-/forefoot runners using both strike patterns while shod. Do Compression Stockings Aid Long Distance Runners? Manufacturers tout the benefits of compression stockings by telling runners they improving running performance via aiding or increasing venous blood return. They assert that the compression around the calves increases the calf muscle pump mechanism thereby increasing end-diastolic volume and cardiac output during exercise and allowing for higher intensity output. However, research to date has not supported this assertion. Running a marathon presents a large physical challenge as a runner needs more than 30,000 foot strikes to finish a 26.2 mile race. Studies to date have revealed that compression stockings may reduce muscular vibrations and oscillations in the calf with prolonged running. They may also help decrease subjective feelings of pain following exercise bouts, but the use of them is still controversial as science also suggests they do not alter running performance. A recent study in the Journal of Orthopaedic and Sports Physical Therapy sought to investigate the benefit of wearing graduated compression stockings for running pace, prevention of muscle damage and maintaining muscle performance during a real marathon race. They had 34 experienced runners (running at least 5 years and completed no less than 3 marathons) take part int he study: 17 in the control group wore socks, while 17 runners wore foot-to-knee graduated compression stockings. Runners were excluded if they were on medications in the 2 weeks prior to marathon, suffered a musculoskeletal injury in the 3 months prior to competition, and not completing the marathon. The stockings were commercially available (NRG Energy – Medilast Sport) and covered from the foot to the inferior pole of the patella with graduated pressure. Participants were given a pair of stockings 2 weeks before the marathon and encouraged to wear them at least 3x prior to race day. Forty eight hours prior to the race a blood sample was taken, O2 saturation was measured, lower leg volume was assessed and maximum countermovement jump height was assessed. On race day, participants wore their selected garments and were not given any instructions about food or drinking, while running at their own pace. The same measurements taken pre-race were again measured following the race. The use of compression garments in experienced runners is an ineffective strategy to reduce muscle damage over the course of a marathon. Further, they do not reduce immediate post-race perceived soreness, nor do they increase performance compared to those runners wearing socks. This is the first study to look at garments in a real race covering this distance. Additional studies should be done to look at the impact of these garments on novice or less experienced half and full marathoners. If you want more information on how to prevent injuries, resolve common running related pains and maximize your running, be sure to check out my comprehensive guide at www.FitForRunning.com. Reference: The use of compression stockings during a marathon competition to reduce exercise-induced muscle damage: are they really useful? Areces F et al. J Orthop Sports Phys Ther. 2015 Jun;45(6):462-70. I am pleased to announce that my new e-book on overcoming knee injuries and maximizing running performance is now available! As someone who has run 4 half-marathons, a full marathon and several 5Ks, I know firsthand how frustrating an injury can be. Perhaps worse than the injury itself, is the fear of re-injury when every step brings trepidation in the back of your mind that the same pain could come back at any moment. Over the course of my fitness and therapy career, I have worked with hundreds of runners ranging from beginners to competitive runners. Many have been sidetracked by anterior knee pain and IT Band Syndrome. While there is no way to prevent all injuries, I have found that learning to assess the body and incorporate corrective strategies to eliminate asymmetries and imbalances along with proper conditioning allows individuals to run faster, longer and relatively injury free. Up to 50% of all lower extremity injuries with runners involve the knee. I have been working on a manual that summarizes my approach to injury prevention, rehab and training for runners. You see, many people are not really fit to run when they start running. If more people knew how to detect potential issues and train adequately to prepare their bodies to run, injury rates would decrease and performance would subsequently increase. 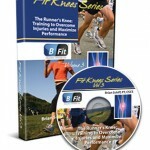 As such, I wrote Fit For Running: Overcome Knee Injuries and Maximize Performance. This 70 page e-book covers assessment, stretching, strengthening, soft tissue mobilization, plyometric training and injury recovery guidelines. It focuses on preparing the human body for optimal performance – a manual for physical readiness if you will. It is perfect for runners of all ages and abilities, running coaches and fitness trainers working with runners. While my book aims to target knee pain, it really offers considerable knowledge and insight that would help a runner with any overuse injury. Given the proportion of knee injuries, I chose to focus the injury/rehab portion of the manual on this topic. Click Here to download a free sample and learn more about this great new resource.